Most ardent followers of Formula One dream of getting behind the wheel of a championship winning single-seater to experience the exhilaration for themselves, at least once in their lives. Each week sees a multitude of a new set of parts installed into each Formula One car, but it is not quite as often that fans get their hands on any of these cars. While F1 cars and their parts rarely go on sale, they often burn a hole in your pockets. Most of these antique race winners belong in a museum where people can view them from up close. None of that, however, comes close to going on a spin in one around iconic circuits. That fortune is reserved for only a few. 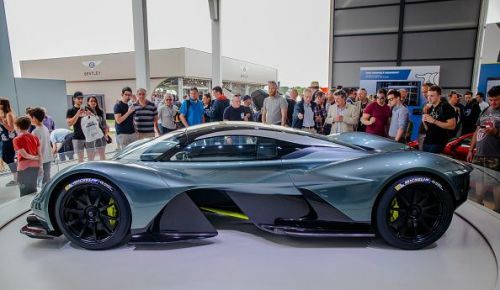 One of the finest things to emerge from a collaboration between Aston Martin and Red Bull Racing seems to be the Aston Martin Valkyrie, or as it is code-named, Nebula or previously, AM-RB 001. 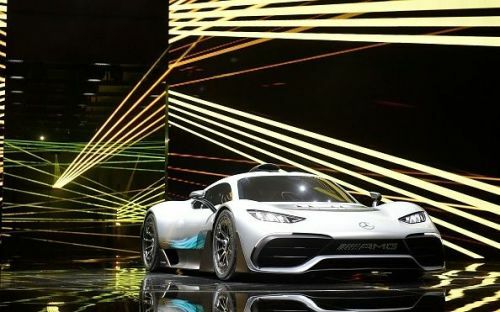 Apart from the extremely sleek bodywork going for itself, the car boasts of having arguably the most successful F1 designer, Adrian Newey, working on the design. The British engineer required a challenge beyond Formula One and after speaking to the bosses at Red Bull Racing about designing a road car, was quickly given the green signal. Judging by the aerodynamic elements on the car, which should be no surprise given Adrian’s dominance in the area, the hypercar is worthy of the claims by the developers about breaking the lap record at Nürburgring and the Formula One record at Silverstone. Its track only version, Valkyrie AMR Pro, might come close to adding some truth to the assertions. While developing a road car is a completely different ball game than designing a Formula car, judging by the specifications, the bespoke V12 Cosworth engine fitted car, would be a favourite in no time. The delivery orders are already coming in, with Formula One driver, Daniel Ricciardo, going ahead to put down money for his Valkyrie.